Dubai: Less than five months after its launch, the massively successful Phoenix Ladies Syndicate are eyeing a landmark maiden Classic in the Group 3 UAE 2,000 Guineas, sponsored by Al Naboodah Ashok Leyland Partnership, with the unbeaten Walking Thunder. The Florida-bred colt made an eye-catching debut at Meydan Racecourse on November 1 and has since posted two more stunning victories, including a nine-length battering of his rivals in the UAE 2,000 Guineas Trial on January 10. 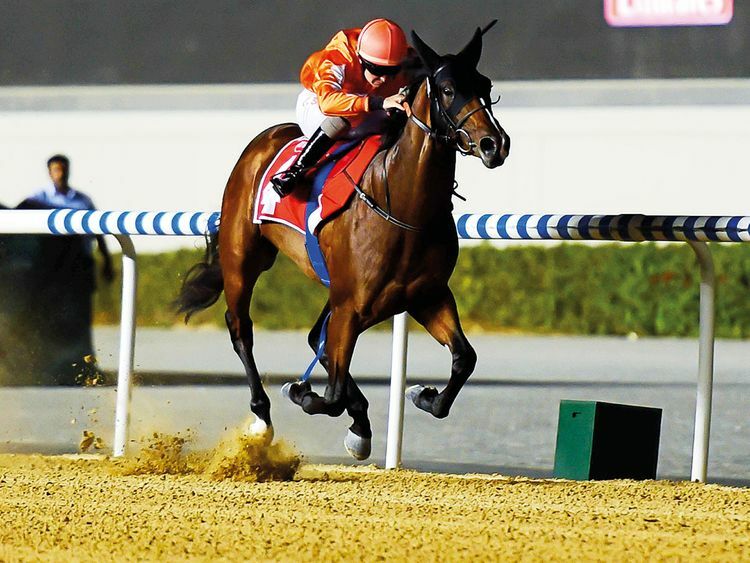 Trained by Emirati Hamad Bin Harmash, Walking Thunder flaunted plenty pf ability and maturity in that race and looks the one his seven opponents will have to beat. The last two seasons he has proven that he’s a better horse. Right now I think he’s the best he’s ever been. The Doug Watson-trained Moshaher also appears to be a forward type and can be expected to run a big race for stable jockey Pat Dobbs, as should the Al Bastakiya Trial runner-up Estidhaaf, who races out of Godolphin handler Saeed Bin Surour’s Al Quoz Stables. “Everything has been going to plan with him,” explained Harmash. “He has done his last serious piece of work and we were delighted with him. He should be in top condition for the Guineas. Watson also hinted at Moshaher’s potential when he said: “I wouldn’t trade him with anybody at the moment. These are all really good horses, it’s the second race of his life and is a big ask for him, but I think he’s up to it. Estihdaaf is the most experienced of the eight runners having raced four times in the UK prior to his UAE bow where he finished strongly in the Al Bastakiya Trial over 1,800 metres. “Estihdaaf looks to have improved for that run,” said Bin Surour, the most successful trainer in the 2,000 Guineas with six wins. Meanwhile, North America can further boost his claims for the $12million Dubai World Cup (G1) by taking out Round 2 of the Al Maktoum Challenge. The middle leg of the three-race series is a highly regarded trial for the Dubai World Cup, a race that Thunder Snow won 12 months ago en route to winning the $12 million contest. North America’s biggest threat could come from Watson’s Cosmo Charlie, who is likely to be aimed at the Godolphin Mile also on Dubai World Cup night. “Charlie just has that kind of natural speed once he gets into gear… One thing is he’s not a fan of kick-back,” Watson said. “It’s going to be a smaller field, so if he can break and North America goes and we can sit off him, that might work, too. Thursday card features five other races, with the first race scheduled to start at 6.30pm.